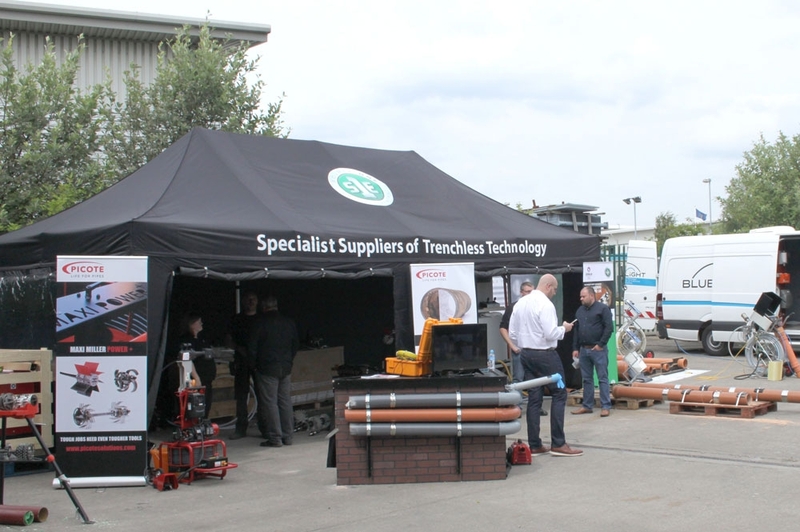 The Source One Environmental (S1E) Open Day was an opportunity for drainage contractors to view innovative trenchless technology products from around the world. The well attended event took place at S1E’s new headquarters in Barnsley, with a wide range of manufacturers displaying products and providing demonstrations. Among the products on display were several firsts for the UK, including Rioned’s UrbanJet high-pressure van-pack machine, Trio-Vison Technologies’ CCTV Pipe inspection system, and Bluelight’s drain lining and LED curing system. 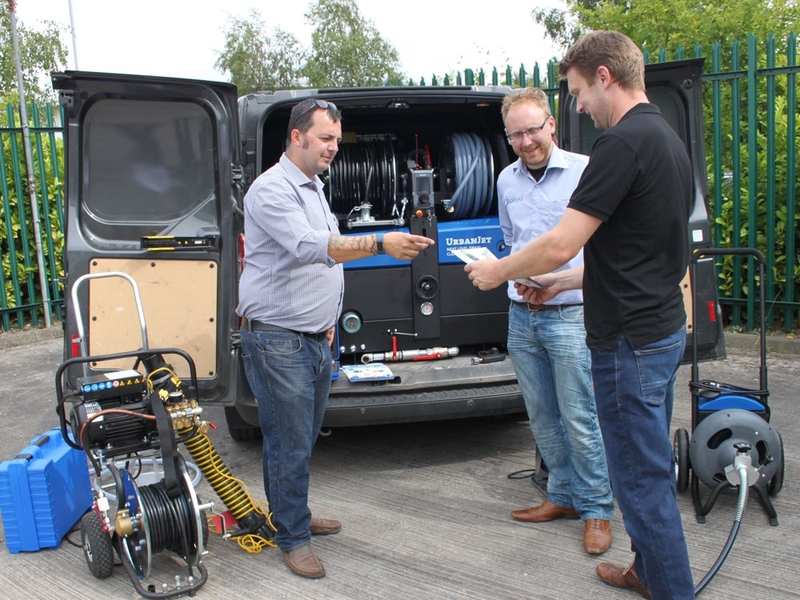 The show marked the first public unveiling of Rioned’s new lightweight van-pack jetter, the UrbanJet. Designed for cleaning pipes up to 350mm diameter, the new unit is ideal for use in compact 3.5t commercial vehicles such as a Ford Transit or Mercedes Vito. The standard package includes a hydraulically driven high-pressure hose reel with MaxFlow lightweight jetting hose and filling reel. The 5-channel radio remote control allows single-user operation to control the pump, engine revs and emergency stop. All models also feature the award-winning eControl+ LED machine status interface with the recently patented RioMeter feature for measuring the length of hose in the drain. The UrbanJet replaces the current AquaJet+ model and is available in two different capacities, 3000psi/12gpm and 2100psi/15gpm. Trio-Vision’s TVS-2000 CCTV Pipe Inspection System is a new product to the S1E portfolio and the first time it has been offered for sale the UK. The inspection camera system includes remotely steered four-wheeled crawler robot units with mounted cameras and lights. The two crawler options available are suitable for pipe diameters 150 - 600mm and 250 - 2000mm. Also included with the system are automatic and manual cable drums and the Windows operated controller unit with 128gb hard drive. The Chinese company are also marketing a HD Wireless Pole Camera and say both products will offer a robust, cost-effective solution that compares well with what is currently available on the market. Another first for the UK is Bluelight’s resin liner and LED curing system. The German company claim that the system makes liner installation up to five times more efficient and is proven throughout Europe with over 50,000 successful installations. Over 10 years in development, the system allows up to 95m of liner to be installed in a single run with the flexible, environmentally-friendly resin liner capable of making 90° turns in the pipeline. The LED curing system is much quicker than traditional UV and atmospheric processes and the company claim it represents CO2 savings of up to 99% when compared with heat-curing systems. Amongst the other products on display were innovative trenchless solutions such as the Picote Brush Coating systems that enables high-speed cleaning of iron, clay, concrete and PVC pipes prior to applying a dual-coat epoxy using the same system. 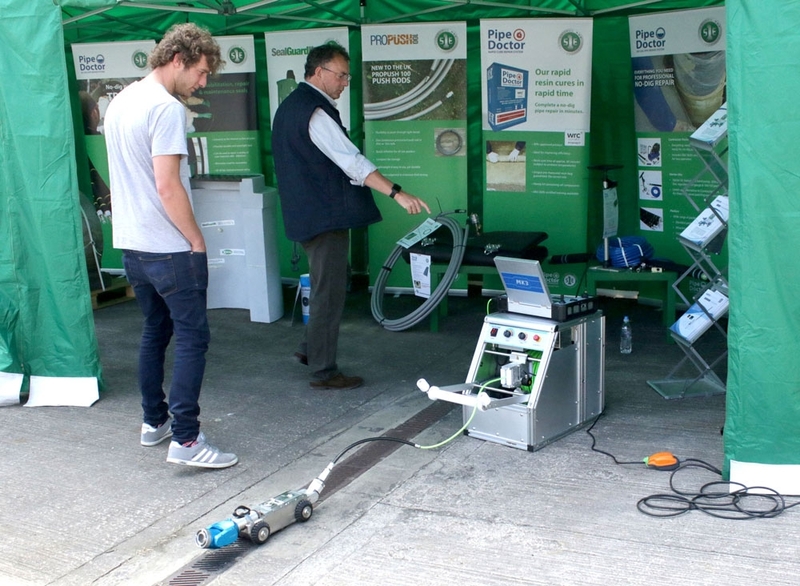 Picote also ran demonstrations of its Maxi Miller Power+ range of tools that can be used to remove concrete, limescale, roots and metal from pipes. The Open Day also provided an opportunity for S1E to show customers around their new offices and warehousing facility and get a closer look at some of the company’s well-established products, such as the Pipe Doctor drain repair and rehabilitation systems, and S1E’s own lining systems.